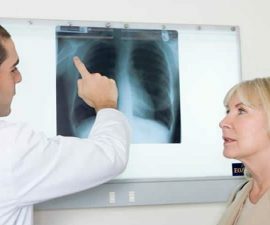 Does emphysema symptoms come and go? This respiratory disease is one of a group of lung diseases called chronic obstructive pulmonary disease (COPD). As the name suggests, it usually occurs in association with obstructive pulmonary problems in the lungs. 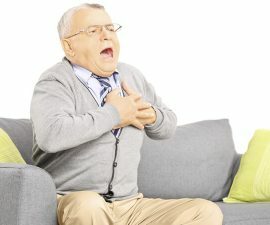 Another main type of COPD is chronic bronchitis. The bad news, many people with COPD have a combination of both types, making it more difficult to cope. Emphysema can lead to permanent enlargement of alveoli, the smaller air ways at the end of each bronchiole – reducing the space for gas exchange (between oxygen that enters to the circulation (bloodstream) and carbon dioxide that goes away from the circulation). As a result, your body can have problem to get adequate oxygen in the blood! In emphysema, alveoli get gradually damaged. Over time this causes enlargement of alveoli, making the sacs become larger instead of tiny ones. The larger air sacs means there will be less oxygen that can be transferred into the blood, causing oxygen deficiency in the circulation. How do you get it? Cigarette smoking is often to blame. Interestingly, many smokers don’t develop emphysema. The exact way of how tobacco smoke causes the disease is not fully known. There is also still no answer why some smokers develop the disease while others don’t. But most experts agree that exposure to tobacco smoke is the main risk factor of the disease. Quitting if you’re a smoker is the best way to prevent the disease. And if you’re already diagnosed with emphysema, quitting is still important to cope with the disease and prevent the complications. Other things that can increase the risk are the age (the disease is more commonly found at the age 40 or older) and genetics (such as alpha1-antitrypsin deficiency). The disease may also run in families. Long term exposure to other airborne irritants (such as manufacturing fumes and air pollution) can increase the risk, too. If you work in environment with high levels of airborne irritants, use a mask to help protect your lungs! Restrictive lung disease means you have difficulty to fully expand your lungs with air, because they are restricted from fully expanding. Typically, it results from a condition causing stiffness in the lungs, damaged nerves, weakened muscles, or stiffness of the chest walls. Obstructive means difficulty to exhale all the air in the lungs. It causes an abnormally high amount of air that may still remain and linger in the lungs at the end of a full exhalation. COPD, including emphysema, is obstructive lung disease. Restrictive and obstructive lung diseases often share the similar symptoms, especially such as shortness of breath. Several tests are required to diagnose the problem. People with emphysema are more vulnerable to have pneumonia, infection in the bronchioles and alveoli. 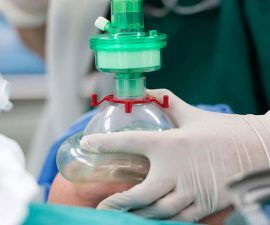 At advanced stage, the disease may cause bullae (large air pockets) which may burst and cause a condition called pneumothorax (lung deflation). The disease is often associated with lack of oxygen in the circulation. This means the heart needs to work harder than usual, increasing the risk of heart problems. The treatment goal may vary from patient to patient, depending on the severity of the disease. But in general, it is aimed to relieve the symptoms, prevent the disease from getting worse (including preventing the complications), and preserve the lungs function as much as possible. This respiratory disease is usually progressive and develops gradually. Therefore, patients may have it without noticing any symptom for many years. But as the disease progresses and becomes advanced, the symptom will be more noticeable. Feeling of breathlessness is the main symptom. At first, it is usually mild and doesn’t significantly affect your daily routines. It’s likely to occur during exertion such as when you exercise. But over time it will start interfere with your daily tasks. In severe cases, it can be very bothersome because it may occur even while at rest. Persistent cough (difficult to relieve) that usually come up with phlegm. The frequently episodes of oxygen deficiency in the circulation may cause a blue tinge to the skin (cyanosis). The enlargement of the lungs in emphysema may show up with the abnormality of the chest shape, such as barrel-shaped chest. Do the symptoms come and go (chronic)? The symptoms of emphysema, especially shortness of breath, can become chronic (come and go). When the disease flares up, the symptoms may last a few weeks or longer.